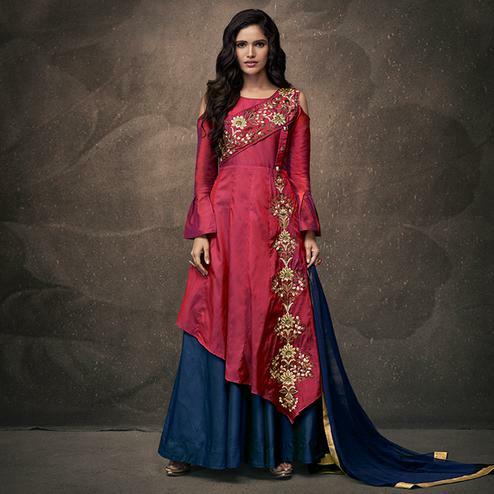 Get yourself dressed up in this navy blue - beige lehenga suit and look glamorous from the rest. This semi stitched suit has got silk front slit style kameez having cord embroidery work at neckline, waist and textured design broad lace at hem. This suit also consists beige russel net lehenga and blue mono net dupatta outlined with golden lace border. It's the best dress to wear for parties and functions.